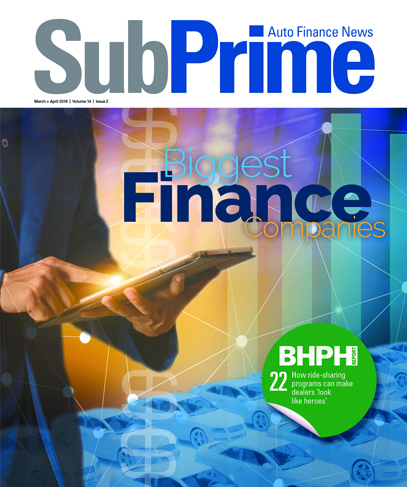 Veros Credit is ready to make an expansion move beyond servicing the needs of the subprime auto financing industry in the western half of the United States as the company has done for the past 17 years. The company explained the reason it’s confident in expanding its footprint across the country is because Veros Credit has seen 30-percent growth year-over-year for several years in a row in the West. “We have a competitive product that focuses on flexibility, and doing business the way dealers want to do business, and that is with personalized service and common-sense lending,” said Cyrus Bozorgi, president and founder of Veros Credit. “Relationships are the cornerstone of the auto finance industry, and we intend to bring our unique service expectations to dealerships in multiple states in both the eastern and central parts of the country,” Bozorgi continued. Veros Credit is a provider of auto financing solutions to consumers through a broad network of franchise and independent dealers. Veros specializes in the acquisition and servicing of near-prime and subprime retail vehicle installment contracts. To help spearhead this nationwide expansion efforts, Veros Credit tapped Kyle Dietrich last month as its new vice president of sales and marketing. “I can’t tell you enough about how excited I am to be part of the next evolution of Veros Credit,” Dietrich said. “Veros is well known in the auto finance space and Cyrus’ vision of personalized service with dedicated funding specialists and credit analysts for each dealer, partnered with a professional sales representative in the field to help quarterback all aspects of the approval and funding and negotiation process, is a breath of fresh air in today’s highly automated and commoditized auto finance industry. Dealers across the country will appreciate the ability to negotiate their deals and truly partner with a company like Veros Credit,” he went on to say.